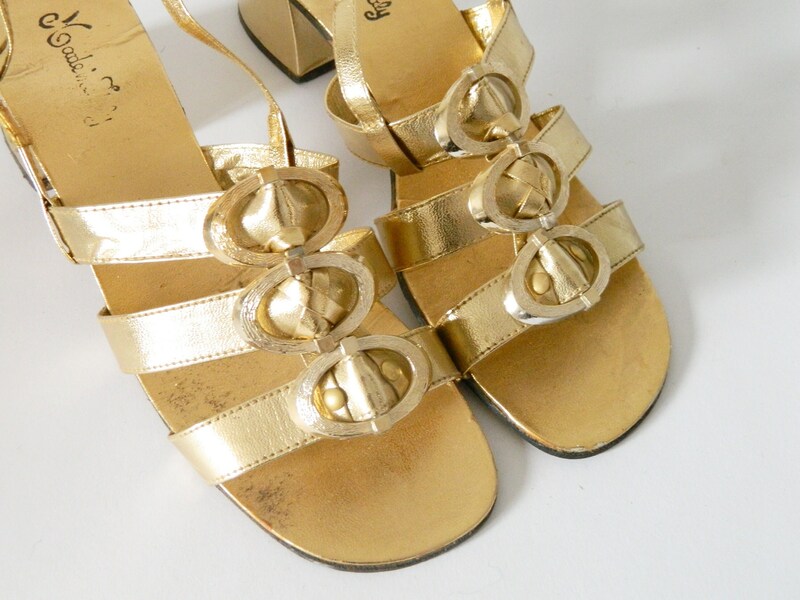 Golden Sandals with plastic Brooch. 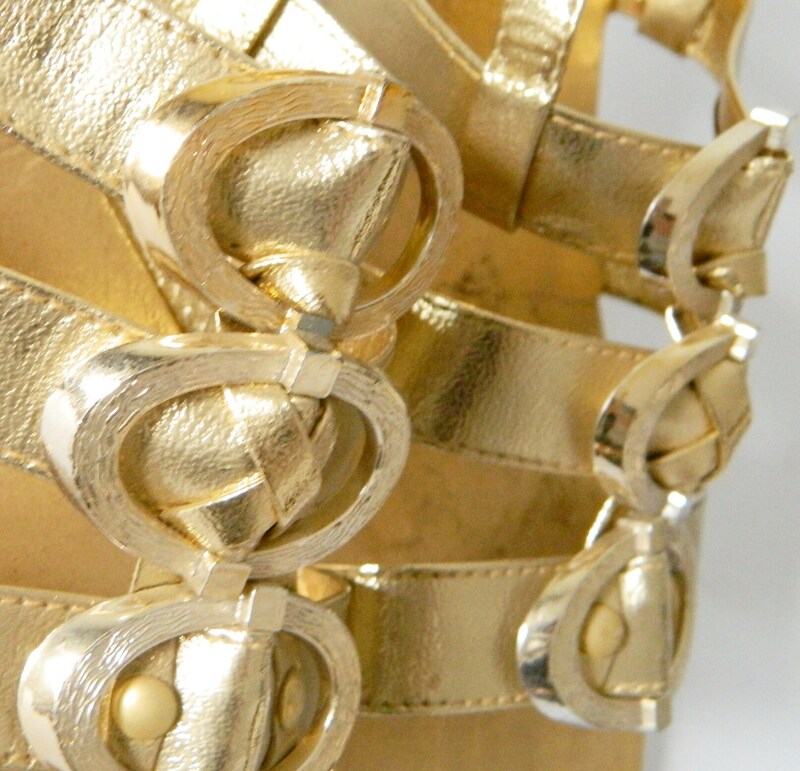 Comfortable heel, Nice to the evening dress. Good vintage Condition. 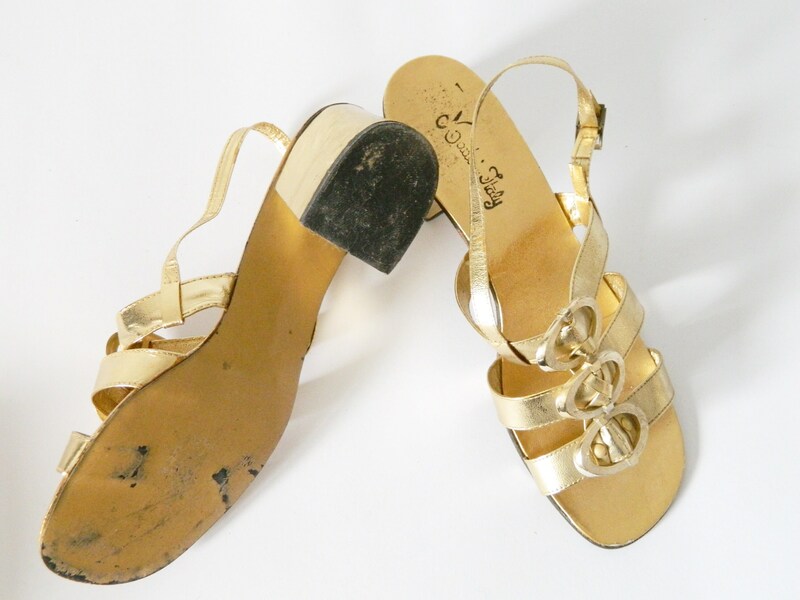 Golden-coloured sandals with brooch of plastic. The staff were very friendly and helpful. Good vintage Condition.